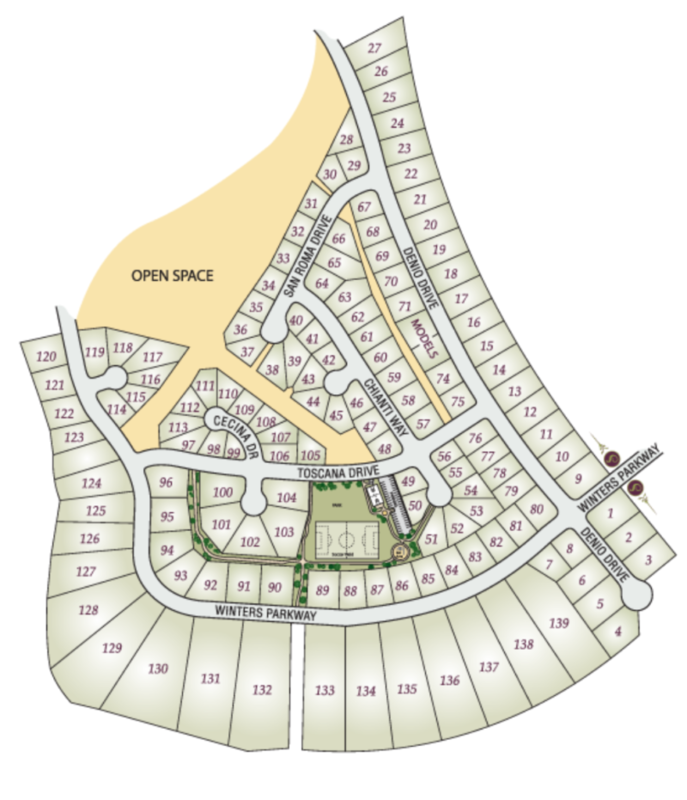 Nestled at the beginning of the Dayton Valley on the Carson River’s north bank, Phase 1 of the Santa Maria Ranch Development holds a total of 139 lots for both Custom and Semi-Custom homes. 119 of these lots have been sold and currently only 20 remain available for purchase. Home sizes range from 1,800 to over 5,000 square feet. A three acre Regional Park with a soccer field, basketball court, tot play area, picnic tables, and BBQ areas is at the heart of this phase. Walking trails will guide community members through the original old growth trees that were carefully preserved during the course of construction. Trails lead from the Regional Park, to the river and to the River Park currently being designed by Lyon County. 23 Acres of river front land was donated to Lyon County by Dayton Land Developers, LLC for the creation of a River Park adjacent to the Santa Maria Ranch on its eastern boundary. The park will feature picnic areas, a fishing pier, rafting take out point, exercise stations and miles of river front walking trails that will connect all the way to Carson City when completed.